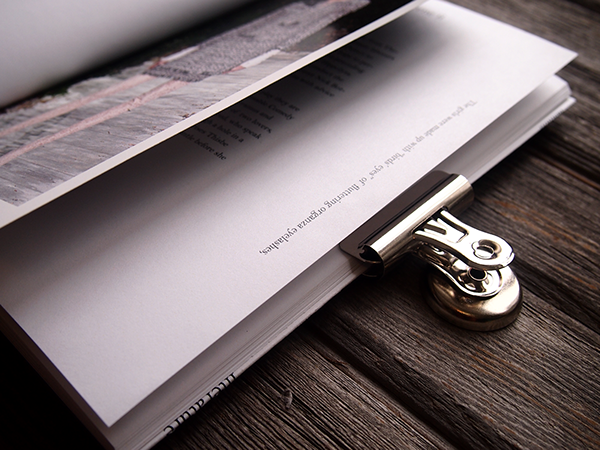 thoughts in completing the genre. 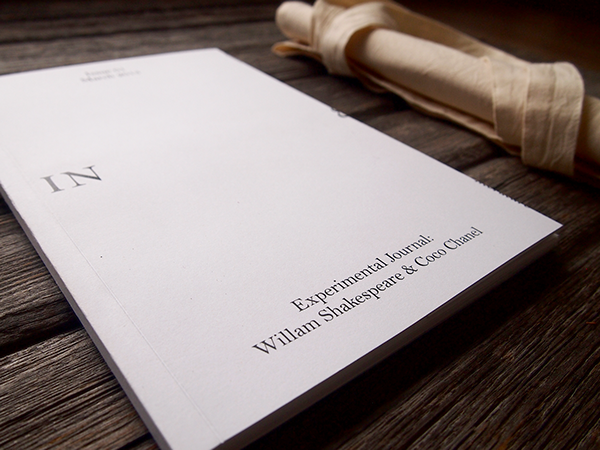 The play of A Midsummer Night's Dream from William Shakespeare is the body content of this journal. 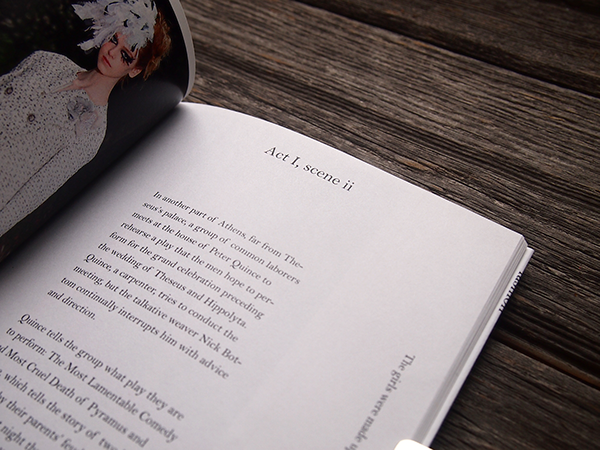 reading as audiences flip and view the images. 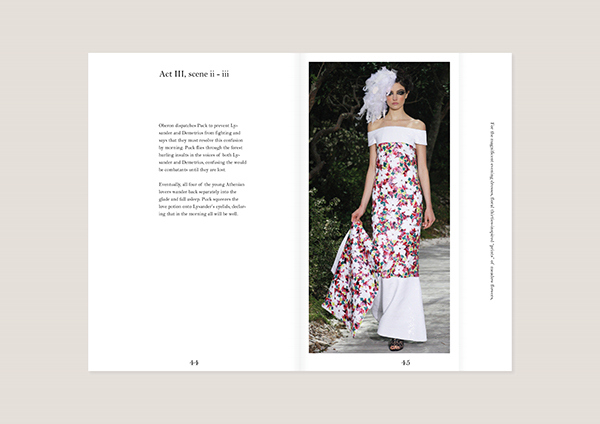 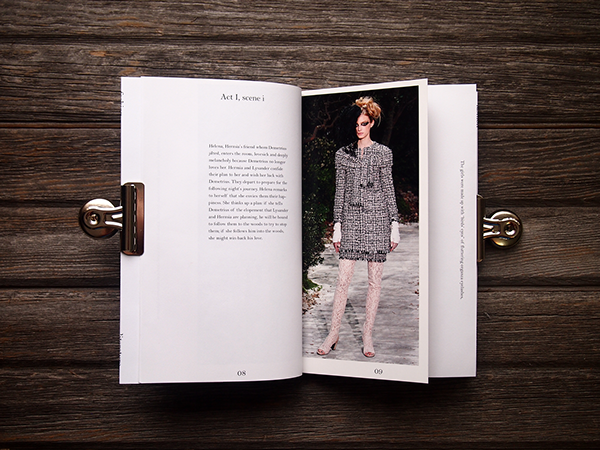 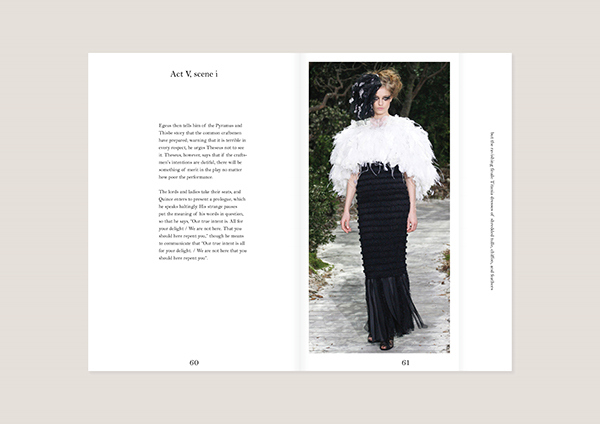 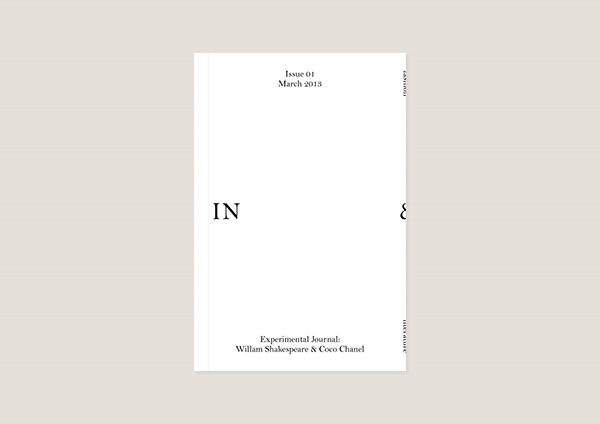 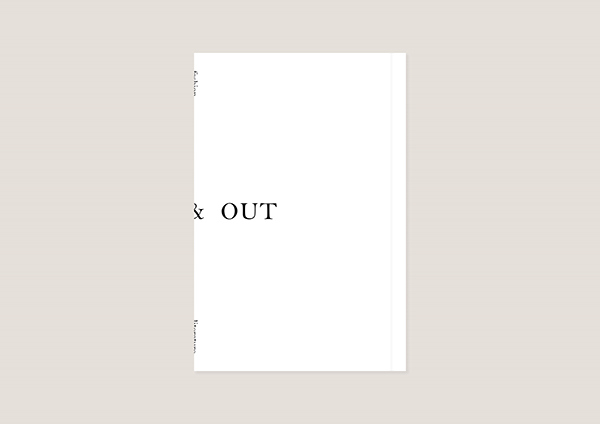 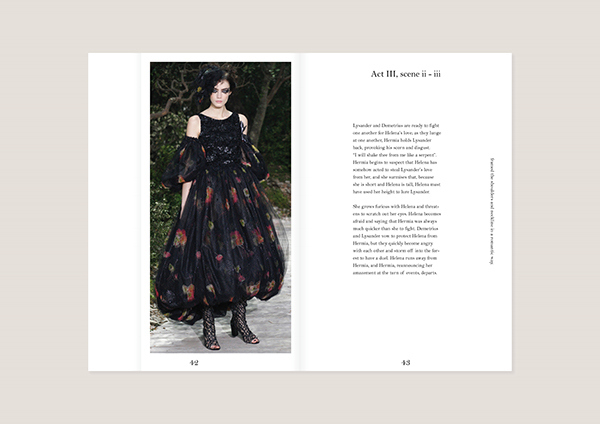 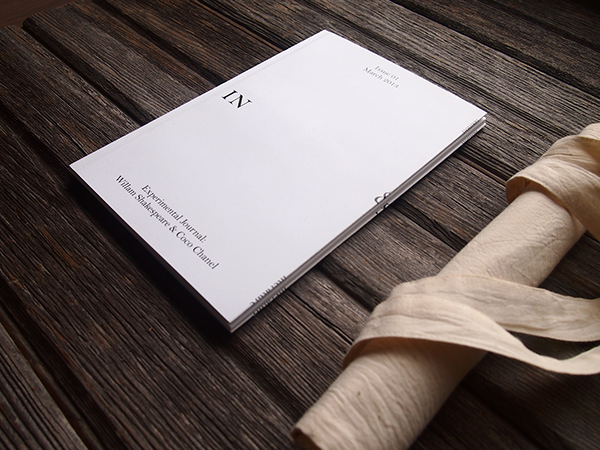 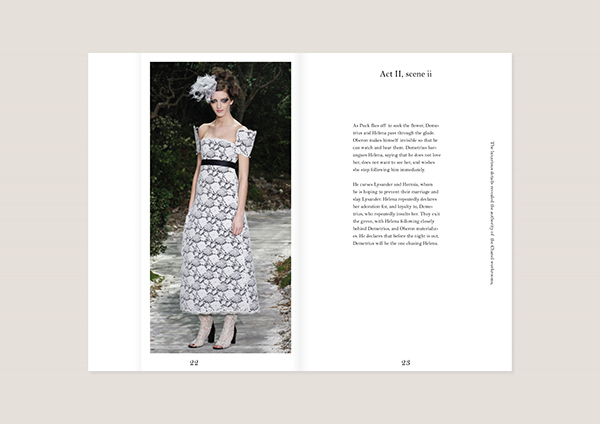 IN & OUT is an experimental journal with a focus on literature and fashion. 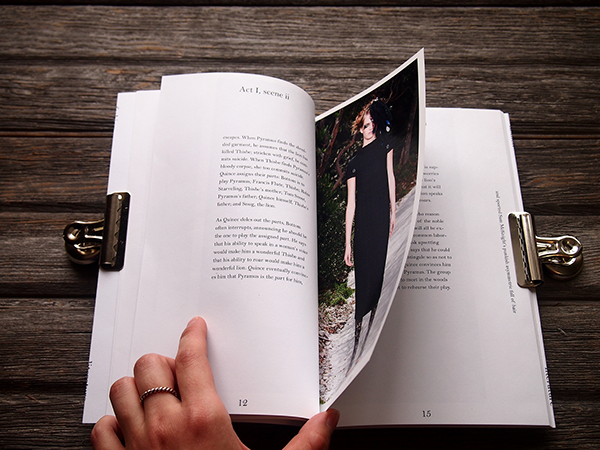 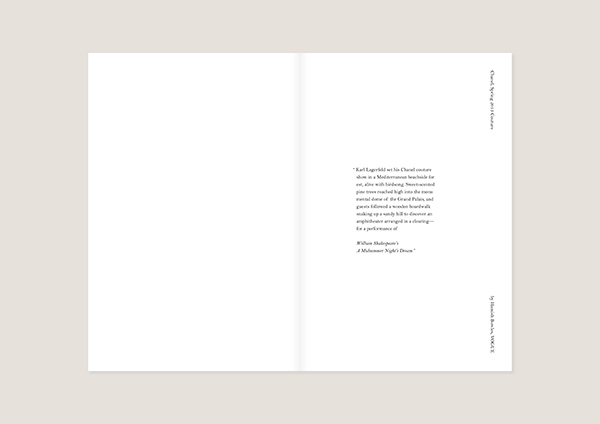 Being inspired by the experience and emotion writer and designer take as muse in their creations, this journal highlights the emotional experience audiences have through the reading process; it allows readers to reflect their thoughts in completing the genre.